"Oh, what a beautiful morning....!" 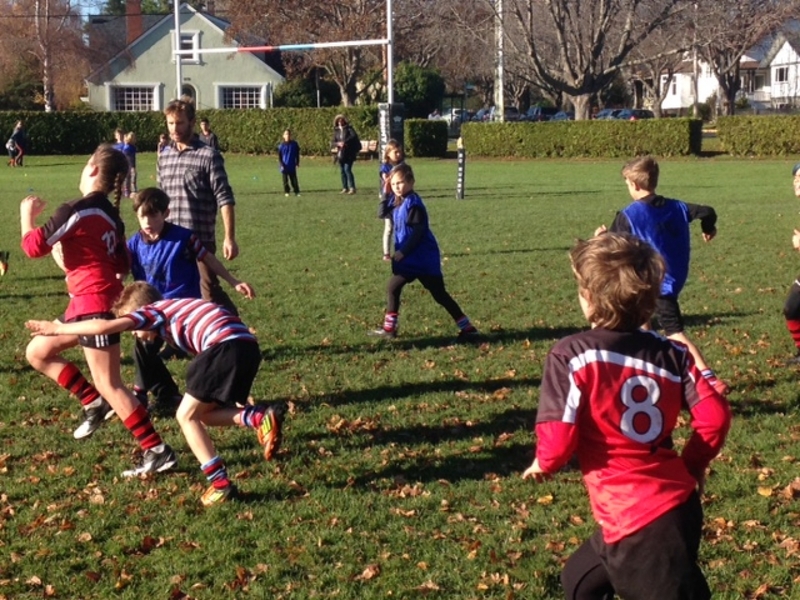 CW Rugby hosted some 250 girls and boys, aged 5 – 11 at Windsor Park on Sunday morning. Players and their families came from as far as Campbell River (some 30 – 40 kids), Comox, Courtenay, Nanaimo, and Cowichan and locally from Westshore, James Bay and CW. For this viewer, it was great to see the CW Mini torch being passed on from Matt Gordon to Ed Knaggs and Anne Jones and now to Erin Vipond. Massive bouquets to Anne as it was her day – games planned, fields delineated early in the day, referees organized, ice and first aid on site and most importantly, hot dogs and juice to finish the morning. Nothing missing! Well, not quite, I would suggest the total absence of any home club Premier Men and Women was a pity. Must also comment on how impressed I was to see former club players, now parents, giving back – Clayton Daume with U 6’s; David Hume (U 8’s); Ian Hickman (U 10’s); Koji Zolbrod and Jeff Hayes (U 12’s), Koji being involved for many years and spotted on the side, running a training session with their U14 Girls, Chris May and Ed Knaggs. CW was not the only club featuring “old boys” as many warriors from “the other side of the ball” were spotted “giving back”. The future of rugby on the Island looks bright. So, it’s ‘hats off’ to all those who made this trek south. Hats off to all the coaches and refs – patiently and positively teaching the game and again, hats off to anyone from the home club who had anything to do with the organization. Koji and the U 12's listen to the plan! At the same time this was taking place, some thirty CW U16 and U19 Girls had wended (parent car-pooled) to Cumberland for matches against Comox. Another travel venture with distances on the Island being a challenge to all clubs for junior rugby. A brief report mentions “a great day, with wins for the visitors, much post-game fun and the home club appreciating the efforts to travel.” ‘onya, Ceedub! FRIDAY IS A SCHOOL DISTRICT/S – WIDE PRO-D DAY. There will be an opportunity in the afternoon for interested players – girls and boys to attend a Sevens Clinic at UVic. (Details following).